When life knocks you down to the ground, how do you respond? Upon my arrival in Northern Michigan this past weekend, a dense snow began to fall. As it fell heavier, I felt as if I was inside a snow globe that had just been shaken. The snow gripped branches, winds picked up, and suddenly, most of the area lost power. Word began to spread that the biggest snowfall of the season was upon us. Mother nature was ready to send a knock-out punch. The next morning, there was 12 inches of snow upon the ground and trees. The wind had settled down and there was a quietness that reminded me of the space between two notes: a rest. I had a busy week behind me and one in front of me. The quiet, white scene surrounding me gave me a chance to stop and look around. Snow upon the pines were a contrast of color and strength. 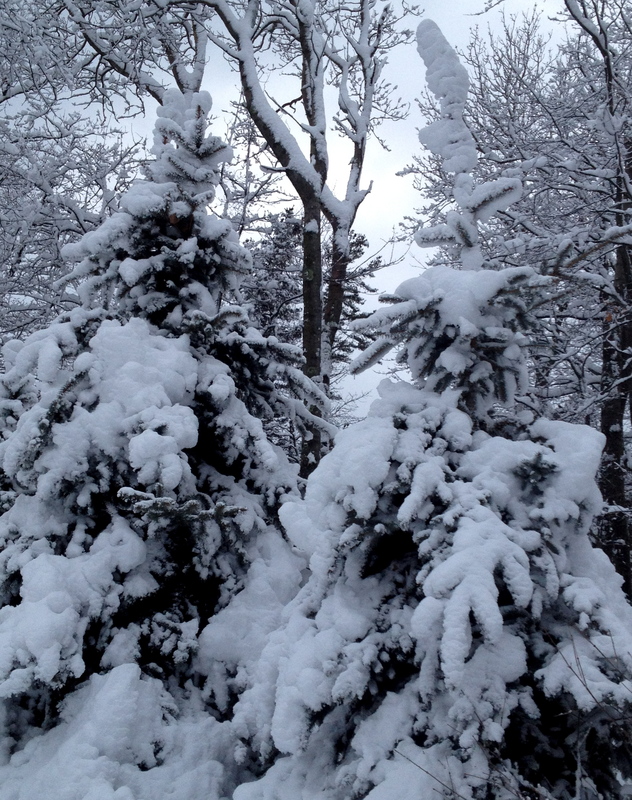 Drooped by the weight of the snow, the pine trees stood their ground. Scattered throughout the forest floor were dead branches from various trees that couldn’t withstand the weight. 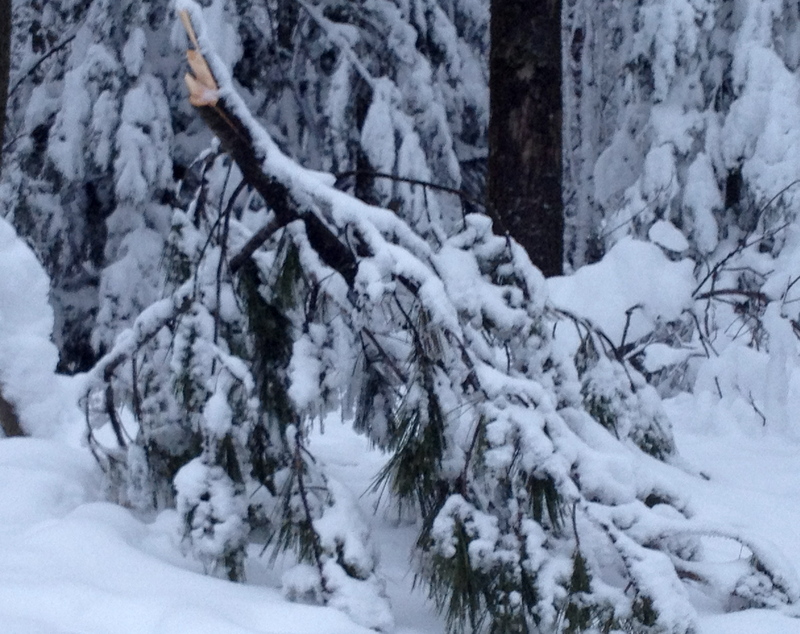 Yet, even some healthy pine branches broke off as the storm proved to be too much for them. I thought how I would walk this path in the summer and these same trees that have lost limbs will be full, strong and resilient. This storm reminded me of how there are many times in life that we get thrown a storm. A crisis, whether we created it ourselves or it was placed upon us, rolls through our life. These powerful moments sometimes knock burdens off of us that no longer need to be in our lives. It could be a relationship, a habit or a way of thinking. Sometimes, that personal storm comes into our life and knocks off a healthy branch. This could be a death of a loved one, a surprising loss of a job or even a loss of a physical capability. As I walked along the winter trail and saw these healthy limbs lay upon the ground, I thought about how so much of life is measured by our own personal resiliency. Are we able to imagine ourselves beyond the time of crisis into a time of strength? What would be our own version of bouncing back like these trees come summertime? Everyone gets knocked down — a limb broken or swiped away. Those moments of pain create the greatest opportunities of growth. When one branch breaks off, it is not the loss that matters, it is how we handle the loss and what we do with the gifts we still have. The broken branch made me think of summer. The time ahead when strength will be in full bloom. The next time we encounter a storm in our life, whether as an individual, family or community, the measuring stick will be not that we survived, but how did we draw upon our resiliency and thrive. Did we grow strong again?